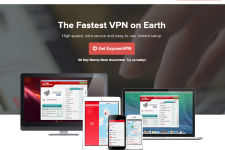 PureVPN is a trusted name in the VPN marketplace that is used by more than a million customers. Launched in 2007 by Hong Kong based GZ Systems Limited, PureVPN was one of the first service providers to offer a personal VPN service. Today, the company not only offers personalized VPN solutions but also SmartDNS service and customized business VPN packages. This PureVPN review will reveal the prominent features of PureVPN’s personal VPN service and highlight the benefits of using it. United States, Australia, Canada, United Kingdom, Costa Rica, Hong Kong, China, Germany, Hungary, France, New Zealand, South Africa, Russia, South Korea, Ireland, Egypt, Switzerland, Ukraine, Thailand, Slovakia, Luxembourg, Netherlands, Bulgaria, Japan, Indonesia, Italy, Sweden, Turkey, Chile, Argentina, Czech Republic, Romania, Taiwan, Denmark, Philippines, Belgium, Panama, Malaysia, Poland, Brazil, Norway, Singapore, Saudi Arabia, Finland, Moldova, Estonia, Lebanon, Albania, Oman, Mexico, Vietnam, Lithuania, Qatar, Jordan, Liechtenstein, Kuwait, Slovenia, UAE, Austria, Latvia, Spain, Bosnia, Montenegro, Croatia, Iceland, Serbia, Monaco, Syria, India, Kenya, Peru, Belize, Bahamas, Ghana, Brunei, Armenia, Colombia, Nigeria, Greece, Georgia, Bahrain, Venezuela, Malta, Aruba, Seychelles, Isle of Man and Yemen. The geographically dispersed network of the service makes it incredibly easy to access GEO-IP locked On-Demand services from anywhere as well as bypass all types of firewalls, restrictions and censorship. For instance, it is possible to use the service to stream services such as Netflix, Amazon Instant Videos, BBC iPlayer, Arte, Russia TV, Voddler, Pandora, Mio TV, ABC Player, Zattoo, Channel Ten, Global TV, Much Music, RTE Player, CBS, TNT, WimpMusic, CBC, OSN, City TV, FOX, Xfinity, USA Network, Canal+, Hulu, iTV Player, TV Asahi, TVB, Spotify, MTV, ABC iView, The Comedy Network, RTL, TV Tokyo, Rai TV, NRK, Foxtel Play, QQLive, Direct 8, Lovefilm, Vudu, HBO Go, TV Japan, Rara, Spacecast, Deezer, Tudou, Wilmaa, CTV, Sky Go, Vevo, NHL, Youku, MyTV, Demand 5, Bravo, Eurosport, TSN, NBC, MLB, 4OD and CWTV regardless of your location as well as to access sites and services like Facebook, Skype, Gmail, Google, Twitter, Viber and YouTube from your office, school or a censored location like China, Middle East or Latin America. PureVPN also allows unlimited server switching with every plan so you can connect to all 450+ servers as many times as you wish and access On-Demand services from several different countries. Since PureVPN does not restrict speed or bandwidth for its customers, you can stream or download unlimited amount of content. The service includes several advanced features such as split tunneling, fastest server selection, purpose selection (get best speeds regardless of type of online activity) as well as HDX streaming (boost streaming speeds by up to 20 MBPS) which allows you to enjoy streaming and downloading sessions without experiencing buffering or throttling. PureVPN operates its own Tier-1, Gigabit server network (equipped with load balancing technology) to guarantee 99.9% uptime plus the company also continuously invests in the next generation technology to stay ahead of its competitors. For P2P enthusiasts, the company permits bittorrenting sessions through Turkish, Dutch, Russian, German, Luxembourgian, Swedish and Romanian servers. PureVPN guarantees your safety, anonymity and privacy with military grade 256-bit (SSL or AES) encryption and delivers its service via PPTP, L2TP/IPSec, OpenVPN, SSTP and IKEv2 protocols. The service protects your online sessions from all types of surveillance, monitoring, spying and snooping as well as secures your private data (including social accounts, passwords, credit card numbers, banking info) from hacking and cyber theft. The service even grants you the freedom to safely connect to public Wi-Fi hotspots without worrying about the data thieves and even provides a stealth browsing feature for total security and privacy. 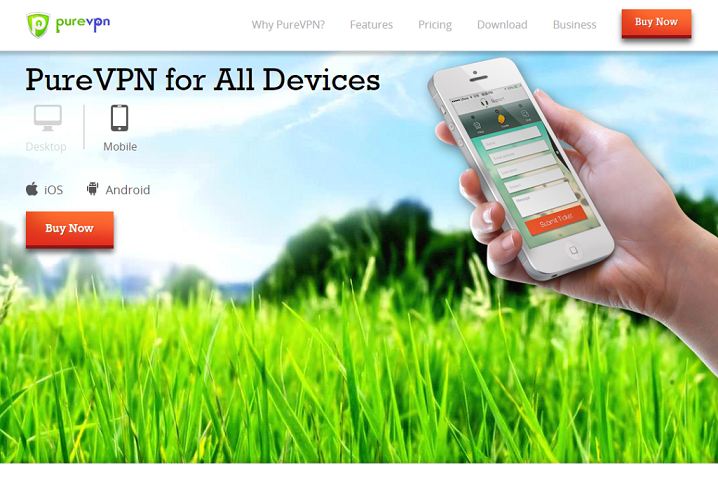 PureVPN can be easily configured on iOS (iPhones, iPads), Windows (7, 8, Vista, XP), Android, Mac OS X, Linux, BlackBerry, Kindle, Windows Mobile, BlackBerry Playbook, Chrome OS, Smart TVs, Microsoft Surface, HP WebOS, Boxee Box, Apple TV as well as routers manufactured by DD-WRT, pfSense, Tomato, Asus, TP-Link, Belkin, Netgear, D-Link and Synology. The company offers user friendly VPN dialers for Windows, Mac, iOS and Android operating systems and even provides extremely detailed manual setup guides (with screenshots) for all devices and systems. The PureVPN Windows dialer includes an innovative kill switch feature which protects your privacy by stopping all internet traffic in the event the VPN connection goes down for any reason. The provider even permits 5 simultaneous connections so it is easy to secure multiple devices with a single subscription. PureVPN offers 24X7 customer support through live chat, email and tickets. Experienced users can also browse through the FAQ section on the company’s site to troubleshoot problems on their own. 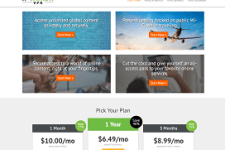 PureVPN plans are available from $9.95 per month, $44.95 for 6 month ($7.49/month; 37% discount) and $49.95 for a year ($4.16/month; 65% discount). The company supports 50 different payment options (including bitcoins) and even offers a 3-day trial account for $2.5. In addition, all new and recurring subscriptions are covered by PureVPN’s comprehensive 3-day refund policy (subject to certain session/bandwidth limitations). With a relentless focus on quality and customer satisfaction, PureVPN has cemented its position as one of the best VPN providers in the market. What’s more, the service comes with many innovative and cutting-edge features that are not yet available from other service providers. 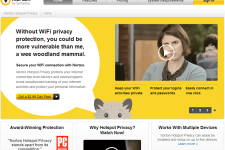 So if total safety and privacy on the internet is your goal, check out the PureVPN service today. For more information, please visit: www.purevpn.com. Great customer service!! !Suggest everybody to try. Deniz did a great job getting my service setup. 5 stars! Highly recommend him for employee of the month.